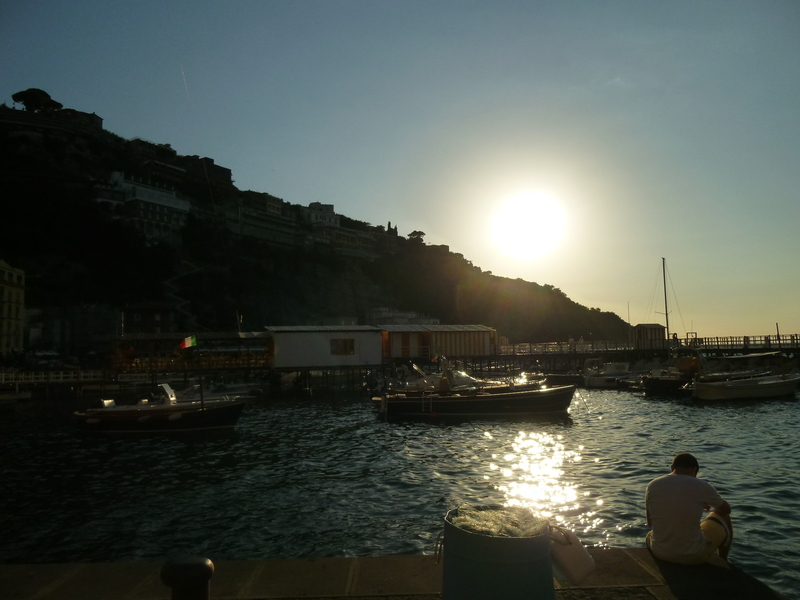 Moving down the boot from Cinque Terre, the next best place to watch amazing sunsets is along the Amalfi Coast. 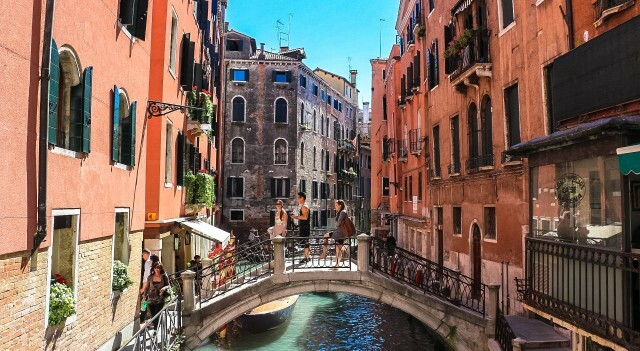 Whether you are arriving by ferry from the over-hyped island of Capri, by train or car from Naples or Rome, you will first arrive at Sorrento, the gateway to popular villages such as Priano, Positano and Amalfi along the breath-taking Amalfi Coast. 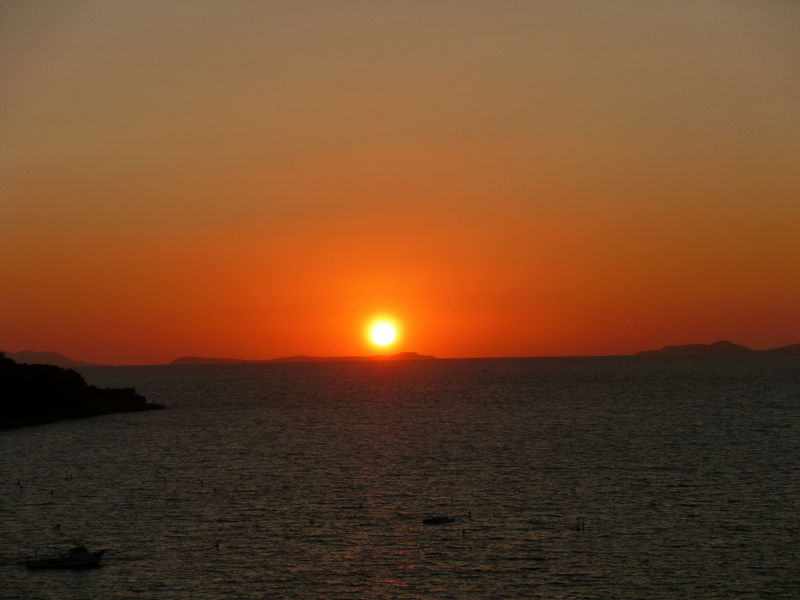 To have an unobstructed view of the sunset, head over to Marina Grande. From the top of the glitzy town perched on tuffs of about 50m high, walk down the narrow, steep and windy stretch of road to the bottom where a characteristic tiny fishing village and marina as contrary to its name awaits you. Begin the start of sunset watching by chilling out and having a glass of cocktail from one of the restaurants with outdoor seating by the tiny stretch of sand filled with sun-bathers and colorful fishing boats. Head over to the jetty at the other side of the marina, to catch the setting sun hiding shyly behind the cliffs. 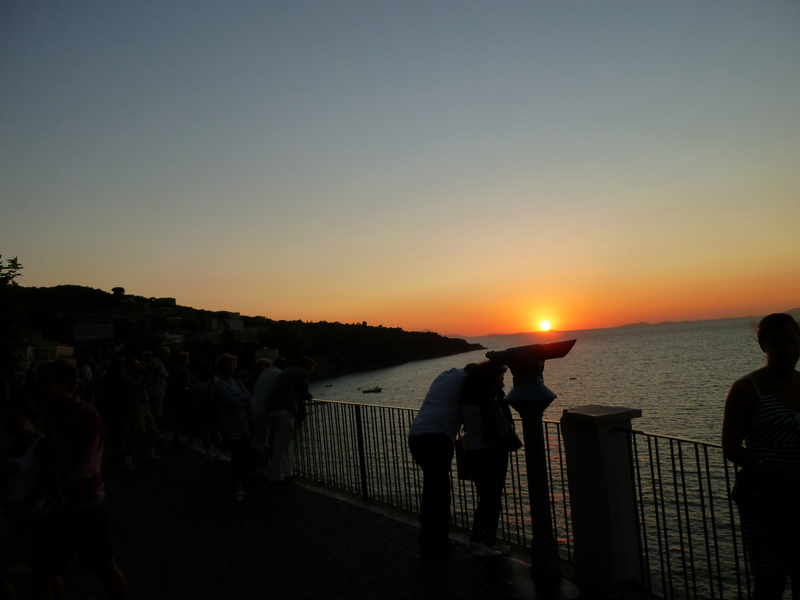 Head back to the town and have a stroll at Villa Comunale, a park at the top of the cliff where you can capture the most magnificent sunset moments over the bay of Naples. 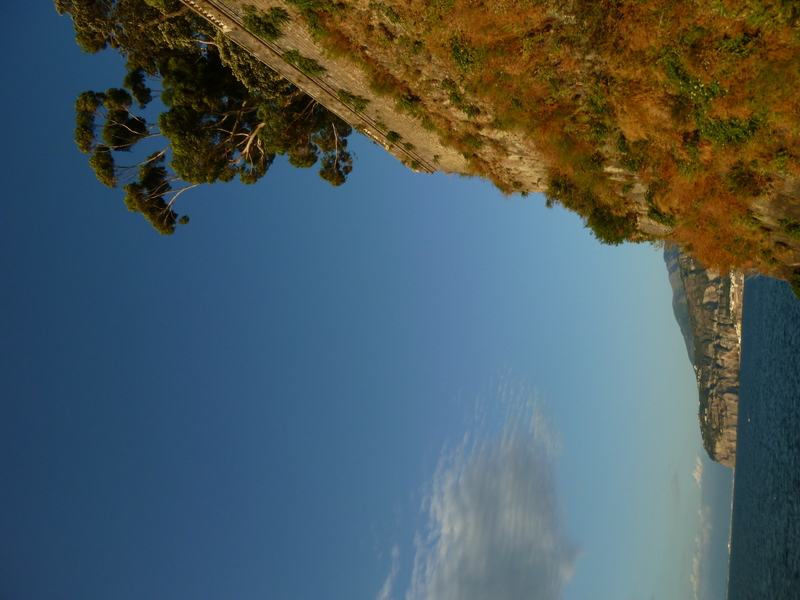 Head upwards back to the town and go to Villa Comunale, a nice park that offers a sweeping view over the Gulf of Naples. A sight to behold for life at sunset with your loved one. Be sure to be there early to secure a spot along the ledge to watch the sunset without obstruction. 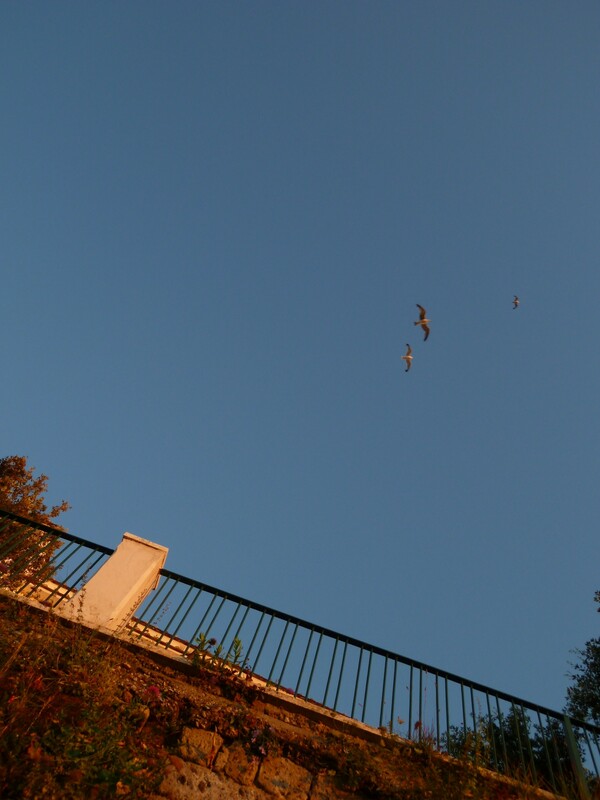 To have a little more privacy, climb down the flight of steps at the side of the cliff that leads to the marina. 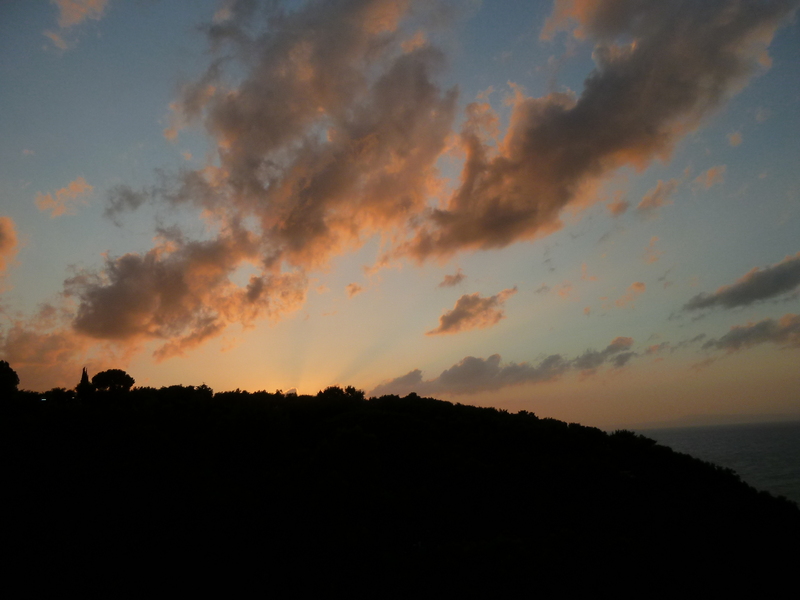 Sunset over at Villa Comunale in Sorrento. During peak tourism period, one has to jostle for an unobstructed spot along the ledge with the throngs of tourists. Be sure to be there early! If Sorrento is your base to Amalfi Coast, most hotels and B&Bs there are located high up on the cliffs with terraces, balconies in the rooms overlooking the Gulf of Naples, that will steal your heart as you watch the creative formation of clouds and splashes of brilliant and pastel colors across the sky during sunset till dusk. 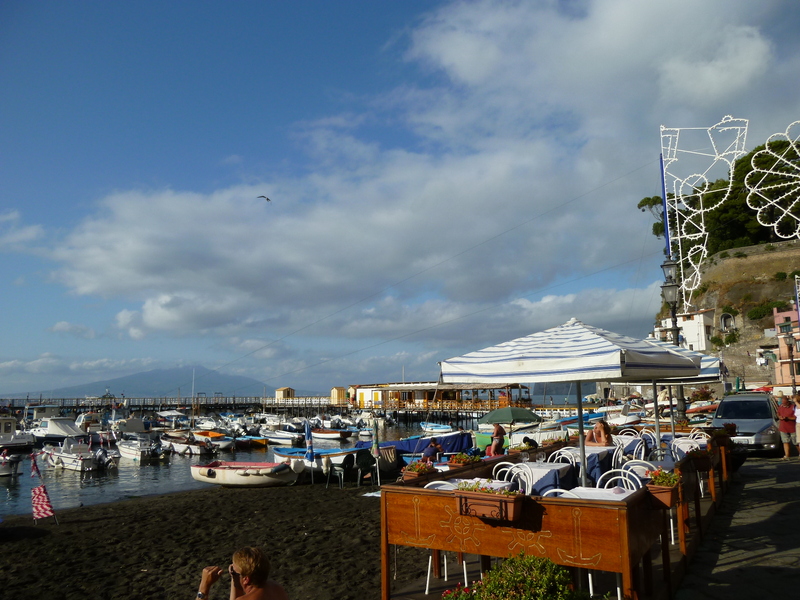 Riding through Sorrento towards the direction of Amalfi town, surprise yourself by discovering little rest areas tucked away in tiny towns sporadically located up the mountains. 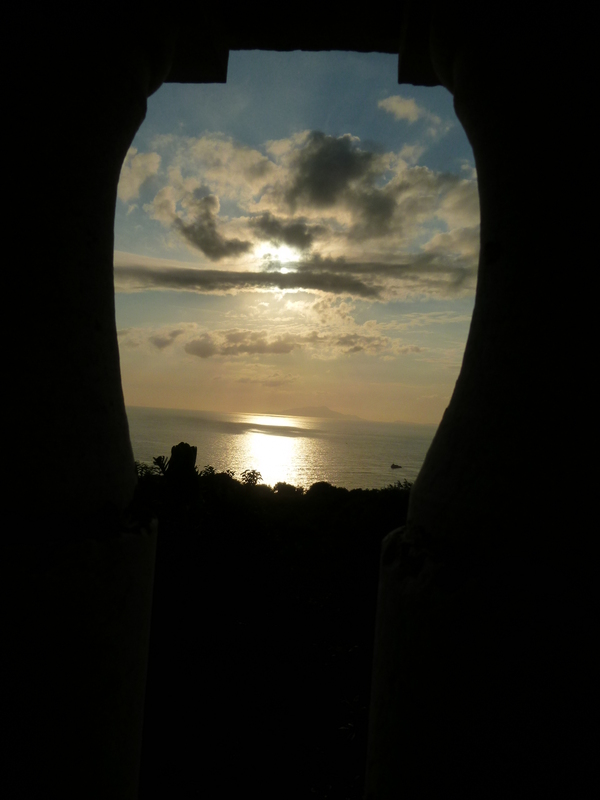 Stop by and be captivated by the views of the Gulf of Naples and the distant island of Ischia during sunset. Feel the romance as the silhouettes of couples form the foreground against the radiance of the sun and the pastel-colored sky. Sunset is a beautiful sight to behold from wherever you are. But it is a pure magical moment watching it with your love one by the coastal areas, with an occasional sea breeze blowing gently and the peace that one experiences while listening to the cries of the seagulls and the splashes of the sea waves. 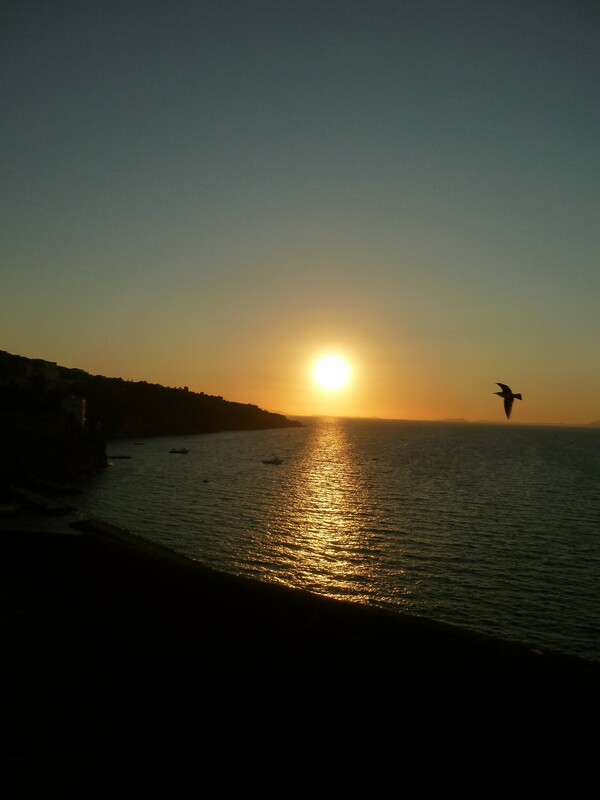 This entry was posted in Italy, Romance and tagged Amalfi Coast, romance, sorrento, Sunset. Bookmark the permalink. The sunset photo is beautiful! Thank you Christine! How are you doing?